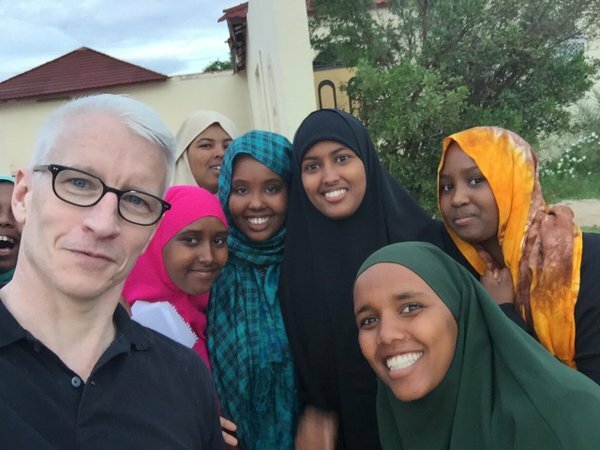 CNN’s Anderson Cooper, on assignment in Somaliland, has visited a successful high school for underprivileged children. Since its founding in 2009, Abaarso School has managed to send over 60 students to top US and international universities, including Harvard, MIT, Yale and Brown. Anderson commented on Twitter thanking the people of Somaliland for their hospitality. The CNN International Anderson Cooper is in Somaliland now has visited Abaarso School on assignment for CNN covering recent success of sending Somaliland students to Ivy League schools and other top schools around the world. The small high school in Africa seems to have figured out a formula to get kids into top US colleges and Ivy League universities on full scholarship. Nearly 60 students who studied at Somaliland’s Abaarso School have been accepted to American and international universities since 2013, including Harvard, MIT and Carnegie Mellon. A new batch of 14 students recently received offers to study at elite US universities ­– including places such as Yale and Brown – in the fall. The boarding school, home to about 200 predominantly underprivileged students in grades 7 to 12, was founded in 2009 by an American hedge fund manager, Jonathon Starr. Cooper said in a Twitter post about the trip, “[h]ad an amazing weekend in Somaliland for an upcoming story. Just back online and want to thank everyone for all the love about #NothingLeftUnsaid and #TheRainbowComesAndGoes.